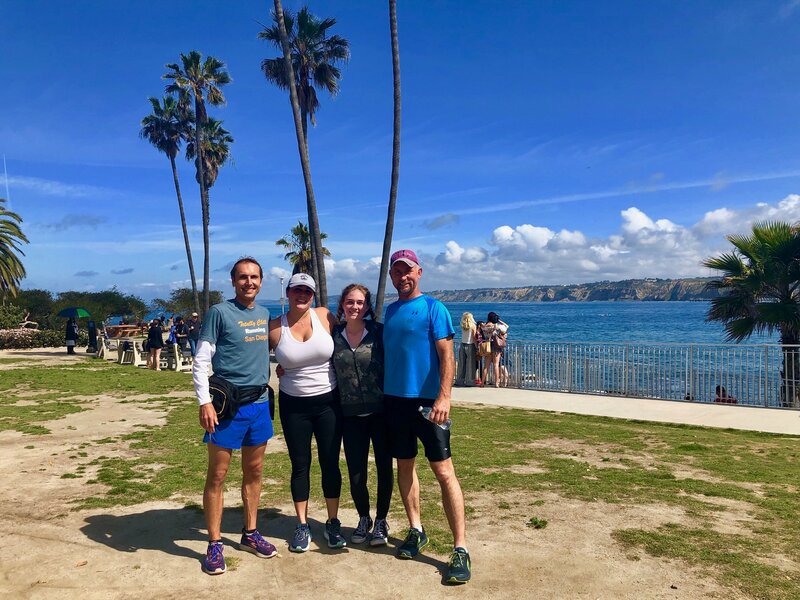 When planning a visit to La Jolla or San Diego, and looking for fun, unique, memorable things to do, consider a run through La Jolla's coastal and historic areas on our La Jolla Running Tour. 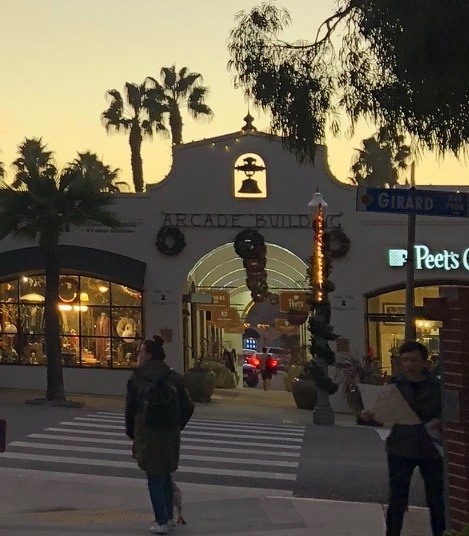 Once a quaint artists' colony, La Lolla is now a popular tourist destination with a multitude of galleries, cafes, and historic places, as well as idyllic beaches, surfing spots, and secret tide pools. 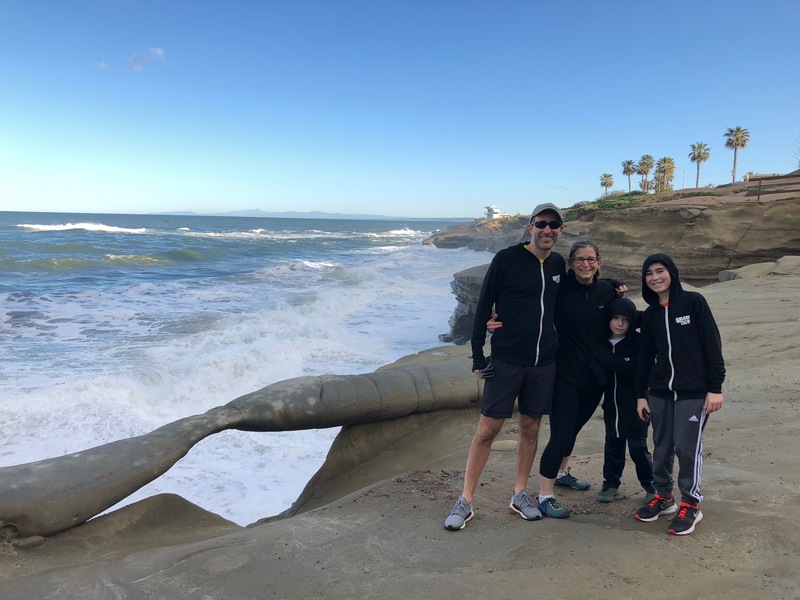 We run a 3.5-mile course, meandering along the coastline and the historic area of La Jolla. 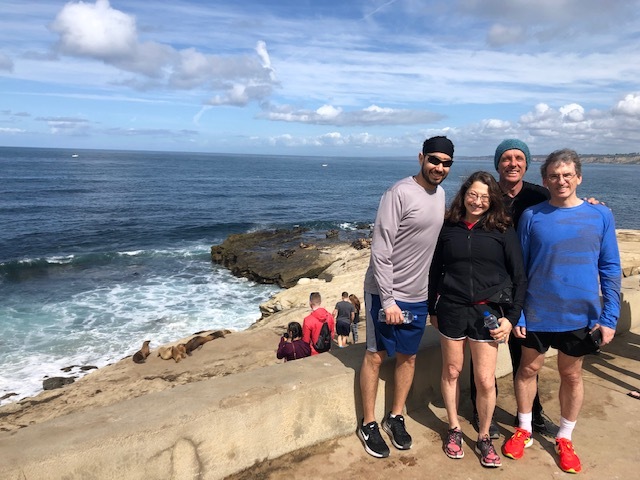 We run by the Whale View Point, Children's Pool, La Jolla Cove, the Cliff Walk. We even descend down into the Cove Cave (Sunny Jim's Cave). 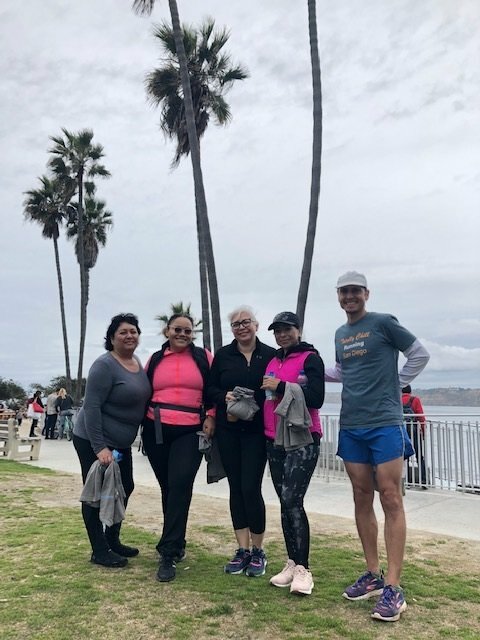 We stop 7 to 10 times during the run at best photo spots and to learn about La Jolla's history and culture. We end the tour with 5-7 minutes of "Yoga for Runners," and provide a ti-shirt, and a complimentary hydration beverage. 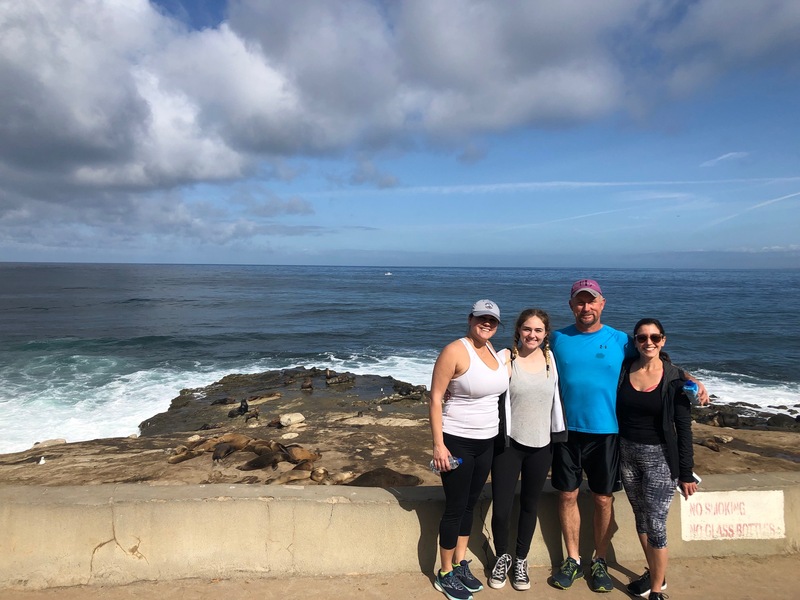 La Jolla Coast and La Jolla Cove are two of the most picturesque and photographed places in the United States - all for their stunning natural beauty. 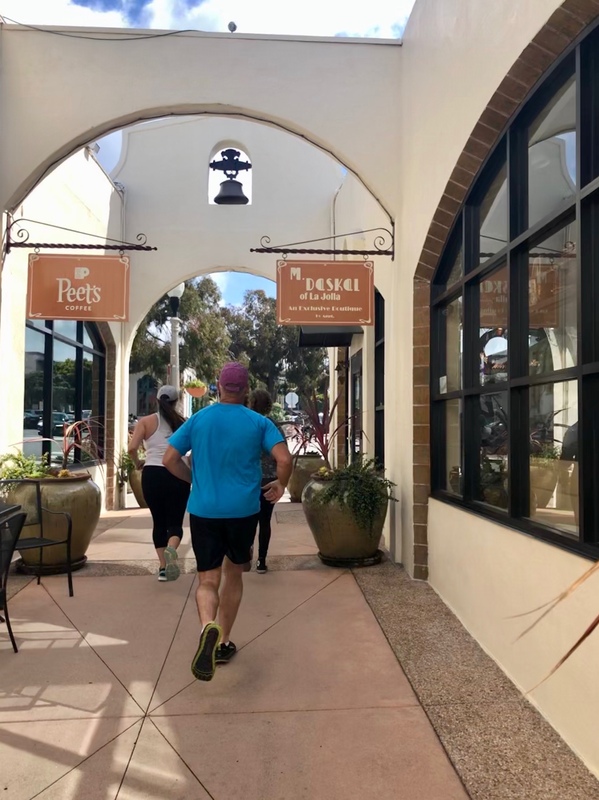 However, La Jolla Village also has unique and storied history that avails itself to perfect on-foot exploration and discovery. 1. Once in the early 1900s, La Jolla boasted a railway service that ran all the way into San Diego proper. Many La Jolla residents used to take the train to work. The railway was shut down by 1940, and the railway metal sold to the Japanese. The tracks were paved over. Much of that history is now buried under the ground. However, there are still signs and remnants of that past. 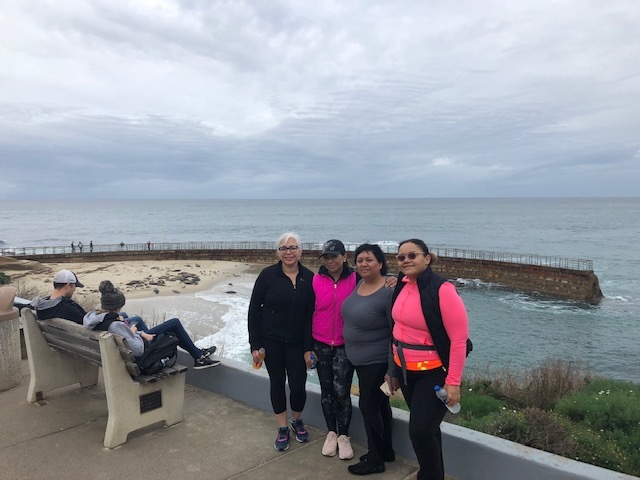 On our running tour, we run along what was once the railway track, and run through the Archway Building, which used to be the La Jolla depot. 2. Before the Spanish-revival architecture, and the modern European influence, most of La Jolla looked like Hobbitland - tiny wooden seaside cottages nestled into cliffs and tucked away in the canyons. At one point, in early 1900s, there were over 450 wooden cottages. To this day, some of them are still there, preserved as Historic Landmarks. We run by a few of those inconspicuous houses. 3. La Jolla Cove coastline is rather rugged. Big rocks break the waves. Numerous tide pools dot the flats. Seals and sea-lions crowd the sun-warmed spots on the rocks. However, beaches - actual sandy beaches - are few and far between. 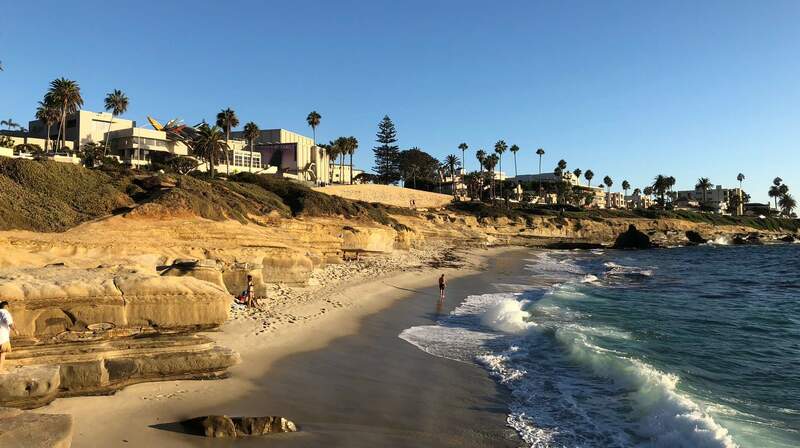 Except one spot near the Village - yes, there is a long stretch of sand in La Jolla, but unless you are staying right near it, or manage to convince a local to reveal the secret spot, you are confined to tiny coves and bays covered in kelp. Come with us on the tour, and we will reveal the secret! Start/Finish Spot: La Jolla Cove in front of the restrooms (La Jolla Cove, CA 92037).